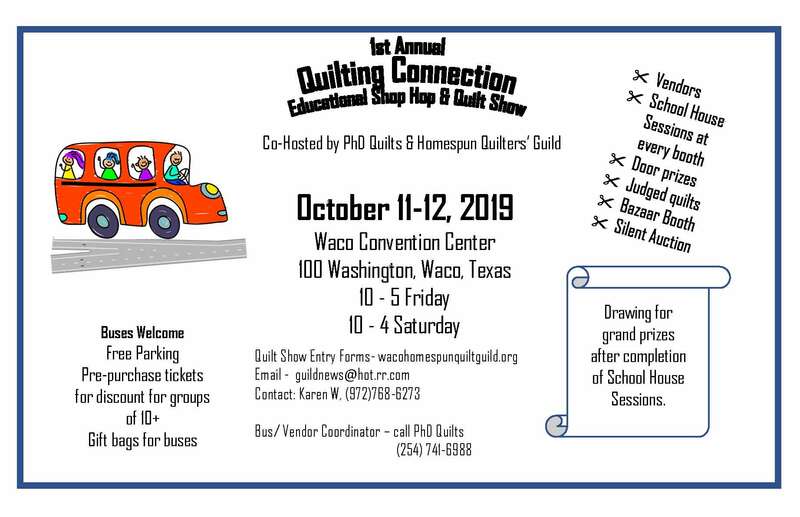 The next Homespun Quilt Guild Quilt Show will be held Oct 11 and 12th, 2019. Finish those quilts and save the date! The Quilt Show will be in conjunction with a Vendor Market sponsored by PhD Quilts. Door prizes, judged quilts, bazaar booth and silent auction.